Gather round the table with family and friends this Chinese New Year and enjoy a taste of comfort and tradition with three new festive dishes at Mui Kee. 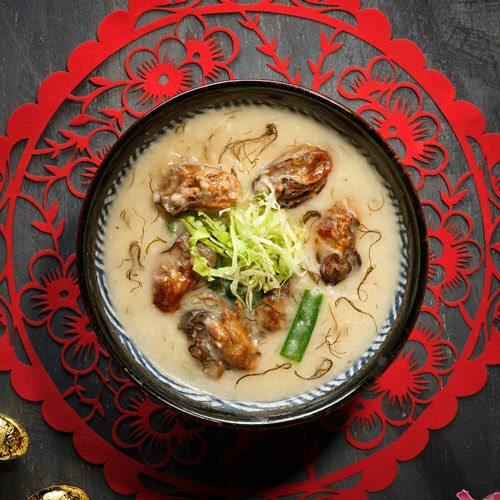 Savour our Fortune Congee (好事发财) – S$10.90 and indulge in the various textures and flavours of dried mussels and moss for a year filled with boundless prosperity. Await an Abundant Harvest (五谷丰登) – S$16.80 where a medley of lotus root, carrot, snow pea, celery, baby corn, wood ear mushroom and red bell pepper are stewed in an earthen claypot. Be mesmerised by a treasure trove of the finest seafood ingredients with our Treasure Seafood Pot (聚宝海鲜锅) – S$68.80 containing abalone, Alaskan crab legs, Hokkaido scallops, dried mussels, mushrooms and moss. A melting pot of flavours which is good for sharing between two to three persons. Dishes will be available from 07 January – 28 February 2019.